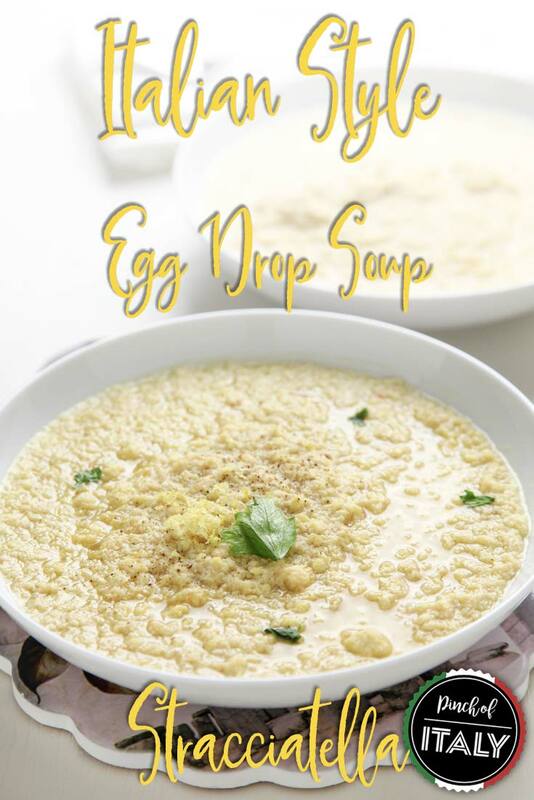 Italian Style Egg Drop Soup "Stracciatella"
Not long ago a reader of mine asked me about an Italian style of egg drop soup that she couldn't remember the name of. My reply: Well, this is the egg drop soup that you are asking me. 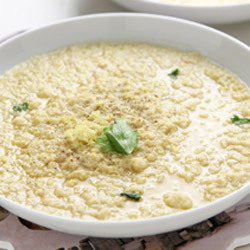 The Italian style is called Stracciatella or shredded soup due to the eggs that are whisked in. 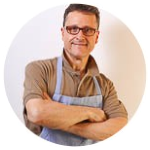 Originally the authentic recipe is from Rome but there are other variations in Italy. 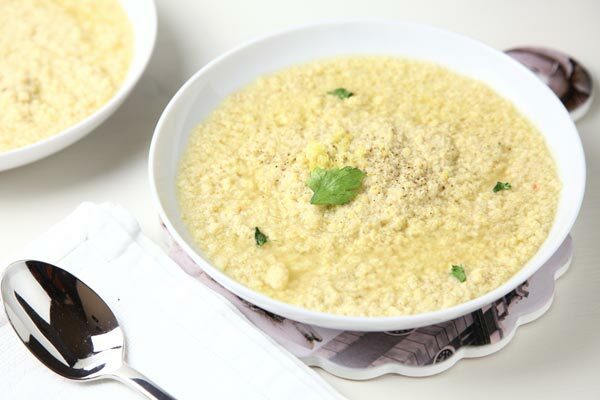 Linda (USA) asked me something very similar about this recipe: "My daughter's best friend's nonna is straight from Italy and makes pastina soup with an egg. Every recipe I find seems much more complicated then what my daughter describes. HELP!" 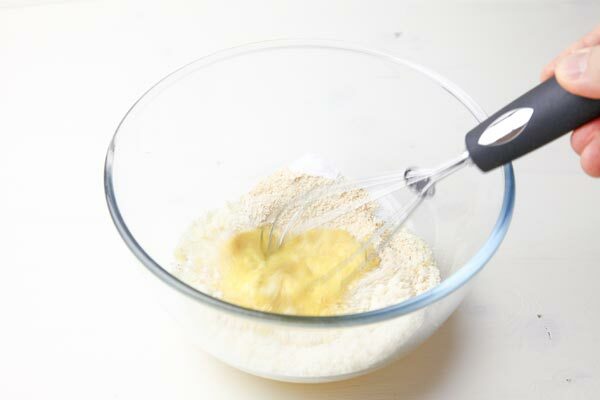 Nancy (USA) asked: "My mother made a soup ravioli that had egg, bread crumbs, parmesan cheese. I'm not sure of the other ingredients. Please help...". My reply: Dear Linda & Nancy, I wrote here the authentic recipe Stracciatella alla Romana. 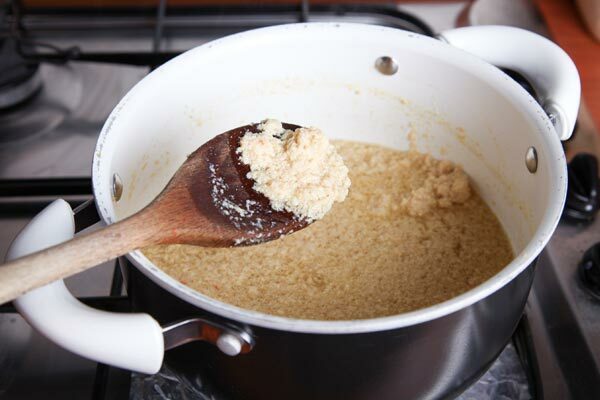 You can give your own twist adding spinach instead of parsley, and use chicken broth instead of the meat one, even baby pasta (pastina) instead of bread crumbs or both can be added as you like, or make a ravioli soup. Preparation time: 10 minutes - Cooking time: 10 - Total time: 20 minutes. Begin by making the stock cube or your homemade broth into a pot. 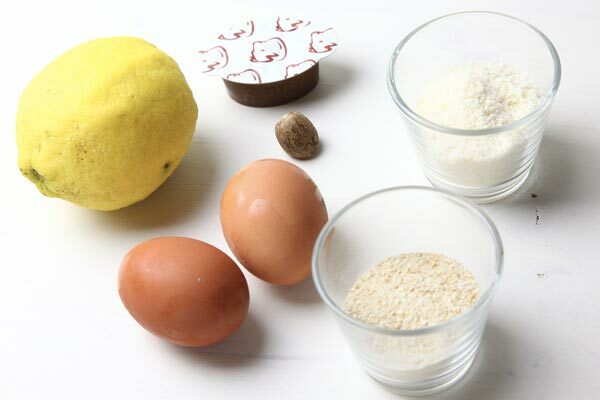 In a large bowl beat the eggs with a whisk and combine them with cheese and breadcrumbs, salt, pinch of lemon zest and a pinch of grated nutmeg. Now pour the mixture in the broth you have made before. Lower the heat, stir with a spatula and cook for 2 minutes. Turn off the heat and sprinkle with chopped parsley and grated Parmigiano cheese. Serve the dish hot and if desired you can add extra Parmigiano at the table. Given a closer look to the ingredients of this stracciatella soup (egg drop), it is really recommended in a cold winter to warm you up, or even when suffering from flu.